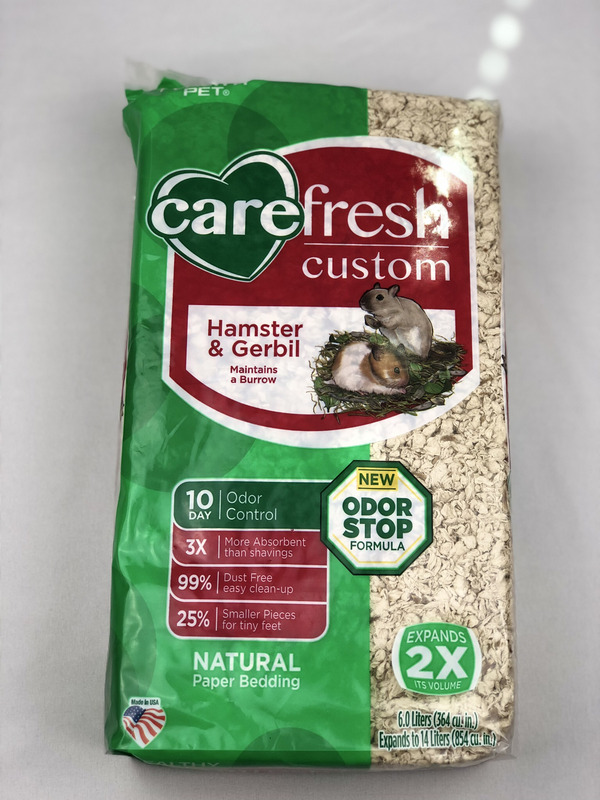 Carefresh Custom Hamster & Gerbil Natural Paper Bedding is made specifically to meet the unique needs of hamsters and gerbils. It's made with natural reclaimed paper fiber pieces that are 25% smaller than average, which makes them the perfect size for safe burrowing. Your small pet will stay warm and dry with this super-soft bedding that expands up to twice its volume and is three times more absorbent than wood shavings. Carefresh uses a special manufacturing process to ensure that this high-performance bedding is virtually dust-free so both you and your pet can breathe easy. Proven proprietary Odor Stop formula that suppresses overpowering ammonia odors for up to ten days, plus it won't fall apart or stick to the bottom of your pet's habitat as you clean!